Mercedes-Benz Classic will be present at the 8th Arlberg Classic Car Rally from 29th June to 2nd July 2017 with two vehicles from its own dealership ALL TIME STARS. The 1971 280 SE 3.5 and the 1974 350 SLC will be joining the starting line of the alpine regularity rally representing the Laureus Sport for Good Charity. Arlberg Classic Car Rally 2017 sees the participation of more than 100 classic cars built between 1917 and 1975. The field will be led by racing driver and Brand Ambassador Dieter Glemser in a new Mercedes-AMG C 63 S Cabriolet (fuel consumption combined: 9.3-8.9 l/100 km, combined CO2emissions: 218-208 g/km*). The Arlberg Classic Car Rally, which this year takes place between 29th June and 2nd July 2017, offers spectators fascinating cars against the impressive panorama of the Alps. The regularity rally for pre-1975 cars is characterised by the route through the alpine streets in the spectacular mountainous landscape and the large variety of car makes and models. This concept puts the rally at the highest level for classic cars – consistent with Arlberg, Zugspitze and other prominent alpine summits along the route. The constant nurture of the cultural heritage of classic cars from young timers to pre-war classics is also embodied by ALL TIME STARS, the Mercedes-Benz Classic dealership. Two exclusive sporty ALL TIME STARS vehicles will take part in the 8th Arlberg Classic Car Rally for the Laureus Sport for Good charity. They are likely to be a 1971 Mercedes-Benz 280 SE 3.5 Cabriolet (W 111) and a 1974 350 SLC (C 107). The classic cars will be driven by Countess Dr Towa-Christina of Bismark, Finance and Foundations expert, skiing legend Christa Kinshofer, Paralympic ski champion Markus Salcher and Paul Schif, Managing Director of Laureus Sport for Good Foundation Germany/Austria, . ALL TIME STARS opened in 2015. 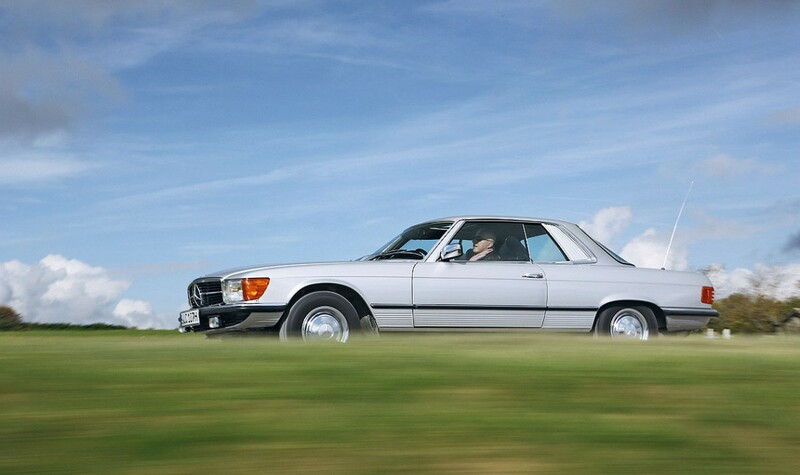 The dealership’s stock of Mercedes-Benz Classics ranges from pre-war classics through to young timers. Models from the 1960s and 1980s are particularly popular with customers. ALL TIME STARS ensures maximum transparency by thoroughly examining every vehicle based on 160 criteria, supplemented with a Classic Data assessment. The ALL TIME STARS are technically at least in condition 2, and are categorised into several editions. The Arlberg Classic Car Rally begins on Thursday (29th June 2017) with the traditional prologue through the “Lech Canyon” following a section of road between Lech and Schoppernau which is closed to the public during the rally.This is followed on Friday (30th June 2017) by the “Tyrolean Loop”. This route starts from Lech and climbs over the Hahntennjoch, through the Inn Valley and via the Fernpass. A highlight of the day is the view from the massif of the Zugspitze. On Saturday (1st July 2017) there is the “Castle and Lakes” stage. Locations along this route include Oberammergau, the royal castles in Füssen and the Bregenz Forest. All in all the regularity rally programme includes around 600 km of road with 20 special stages. Only analogue watches can be used for timekeeping in the race where every second counts.